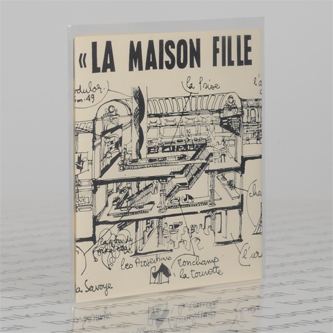 "Cross-pollinating the wants lists of art/jazz/print and architecture enthusiasts this seldom sighted 45 single is regarded as the rarest “lost” recording by American jazz trumpeter and global communal music missionary Don Cherry as he collaborates with French piano improv genius François Tusques. A missing link in the pre-formative years of improvised jazz this mythical private pressing unites two of the key exponents of both American and French free jazz – two entirely independent musical art forms which by 1964 had yet to publicly entwine at the hands of bands like Art Ensemble Of Chicago, Sunny Murray, the Actuel magazine/label and Pan-African jazz festivals in the late 60s. 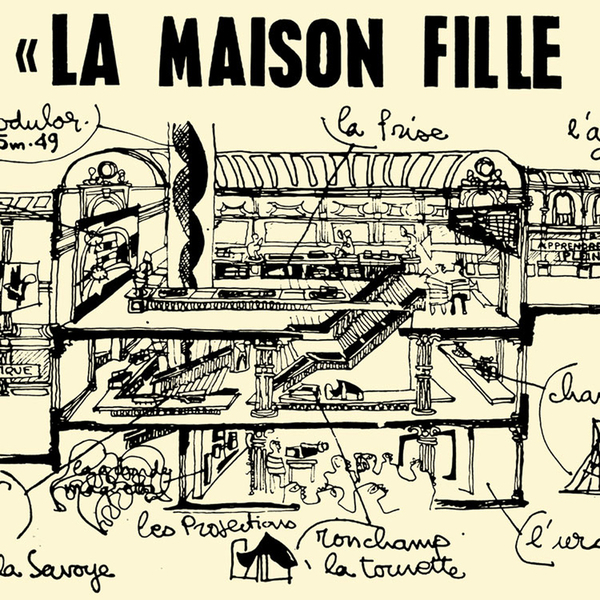 This intimate recording was made to accompany an exhibition by pioneering Swiss/French architect Charles-Édouard Jeanneret-Gris (better known as Le Corbusier) held in Tusques own home town of Nantes. Recorded in one sitting while the globe-trotting Don Cherry stopped off in France this record also marks the beginning of a musical journey which lead to releases in Germany, Italy and Sweden featuring collaborations with the likes of Komeda (Poland), Okay Temiz (Turkey), Joachim Kühn (Germany), the legendary Krzysztof Penderecki and directors Alexandro Jodorowsky and Jerzy Skolimowski. Here these compositions are lead by François Tusques adopting the Chinese whisper sound carrier techniques deployed in his music for the film Viol Du Vampire by Jean Rollin while sonically evoking other cinematic works by Komeda, Mal Waldron and Bernt Rosengren. Housed in a two fold wrap-around sleeve identical to the original article this pocket document of a cross-continental jazz milestone also features a miscredited appearance by bass player Bernard “Beb” Guérin (BYG/Futura) and lays the foundations for Tusques’ imminent free jazz and le nouveau jazz LPs."